nevard_120708_BQ_DSC_6785, a photo by nevardmedia on Flickr. It's exhibition time again as Brewhouse Quay hits the road for the first time since last May at Railex. Since the last outing I have added some working DCC Concept lanterns. 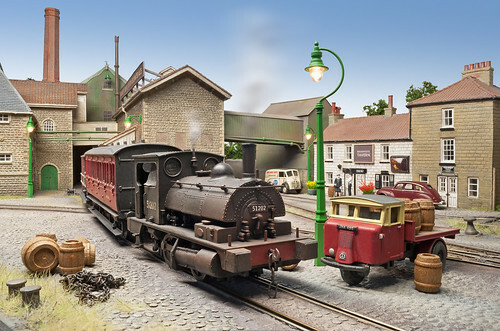 Whilst you wouldn't normally see them burning in the daylight hours, on model railways we always do have them lit for some reason, but of course if the new hall is dark then all the better because I'll turn the layout lights off to help the effect. On the subject of a new hall; this year Wycrail is being held at the location below which should hopefully help with any over crowding.